Grandma's Strawberries. Yum. This is going to take some preparation. Strawberries need room to spread their thick shallow roots, so it's a good idea to dedicate a place just for strawberries. They also should not be planted anywhere you have grown tomatoes, peppers, eggplant, or potatoes in the past three years! This is because they are prone to a disease called Verticillium wilt, which is left by these plants. 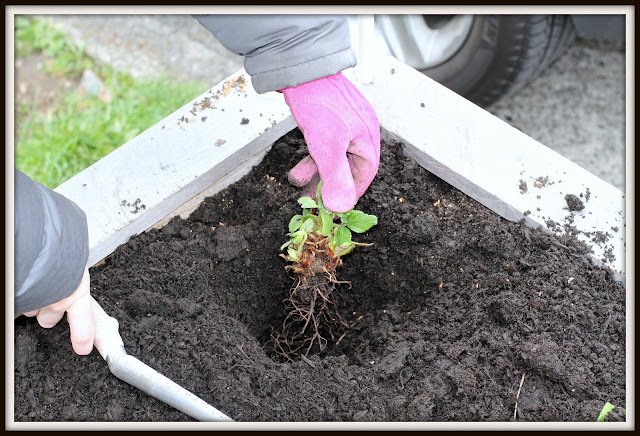 Planting strawberries in a new bed, or pot is best. I'm lucky to have a hunky husband that can whip me up a garden box in a few hours that is perfect for Grandma's Strawberries. 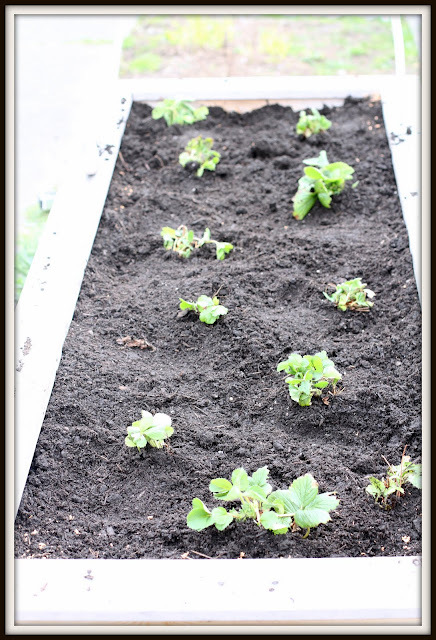 It's a good idea to soak the roots of your strawberry plant, it will help ease them into their new home. When you plant your strawberries make sure to dig a nice deep hole, to allow the roots pleanty of room to spread out. Hold the plant while you fill in the dirt. Make sure to water throughly after planting. I didn't have to as mother nature took care of that for me. Love the tips! Keep'em coming girl! Just used this post to plant my strawberries, thanks to Grandma! Posting a pic of Pearl on Facebook.